As a new year begins, I have been browsing Twitter and some wine blogs and seeing, for the most part, the results of New Years Eve celebrations – pictures of very nice labels, people having fun, even features about opulent wine cellars. 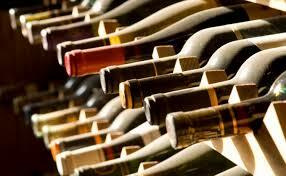 Wine is definitely a catalyst for good time and a good lifestyle, isn’t it? That being said, I have to admit that I am somewhat put off by the displays of opulence. I guess I fall somewhere between those drinking old Chateau Margeaux and those drinking Yellow Tail. (Full disclosure – I stayed in and did not imbibe last night – a case of food poisoning.) I disparage neither end of the spectrum, for they represent parts of a very wide spectrum of wine enjoyment. Now, I have had both Chateau Margeaux and Yellow Tail, and I hope to have the former again; and I am pretty sure that I will have the latter again. This is more about what wine enjoyment can be and how it is often portrayed in the wine media. 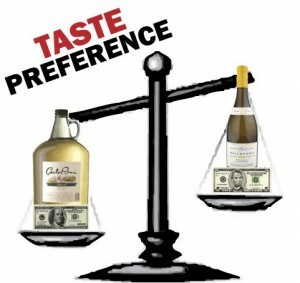 The emphasis of much of the wine media, including the Twitterverse, is that true wine enjoyment only happens at the high end – by those with better palates, more money, and greater access than most of us will ever enjoy. I know that this is true of many aspects of life – cars, houses, etc. – but with wine, it is, I think, a bit more universal. This deprives many of the true enjoyment that a more modest degree of the three items mentioned above – quality of palate, financial assets, and access to great wines and the places where they are made and consumed – can bring. I do not wish to disparage the high end of the wine world, but I do want to celebrate the other aspects more than we do. I want to let people, especially young people new to wine, know that a visit to the tasting rooms of Paso Robles or Santa Ynez can be as much or more fun than a visit to the Chateaus of Bordeaux. For one example, you will likely taste wines that are ready to drink in Paso or Santa Ynez, whereas the Bordeauxs that you will taste in Chateaus will mostly be years away from their peak. Also, the people pouring your wines in Paso will be much more accessible and patient with the newcomer than most of the equivalent people in Bordeaux, or in many of the other “premium” places. I want people new to wine to know that there are many, many AMAZING wines that cost less than $25, and that most of the wines that cost under $50 are really good. That there is a significant drop off in quality to value ratios when you get above $50 per bottle. I want them to know that pairing a wine with a pizza can bring as much pleasure as pairing one with caviar; that screw caps are a better sealing device than corks for wines not meant to age for a long time (and even that is debatable). Personally, I want everyone who is interested in wine to enjoy their interest without feeling that they are “missing something” due to some lack of knowledge or money or access. I realize that this is probably an impossible desire, but that doesn’t mean that I won’t pursue it. I want this blog and my wine-related activities to speak to people who love wines in all kinds of ways. During 2015, I will be traveling to Europe and to South America and will blog about wine experiences at all levels. I will be starting to offer wine travel experiences, first in France – Bordeaux and Paris – in two formats – for those who know wine well and for those who want to learn about wine. Later, tours to Burgundy and Lyon and possibly to other world locations will be initiated. The idea is to enjoy travel and to experience the joy of a wine related lifestyle at whatever level works for you. Wine is for anyone who wants to enjoy it and we need to keep a broad perspective for the industry, and it’s customers, to thrive. I look forward to exploring more of the world of wine and to sharing it with as many people as want to partake of its many great experiences.